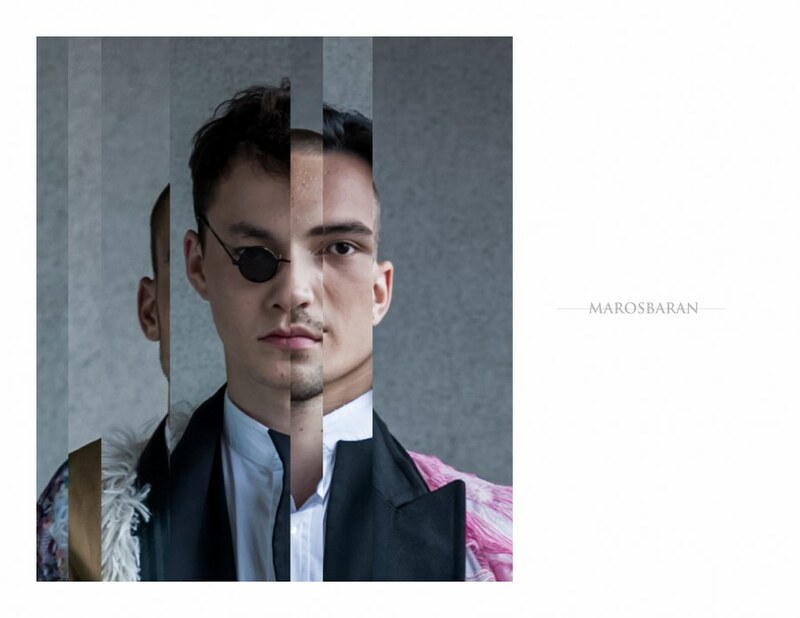 MAROSBARAN is an artist and a fashion designer from Slovakia, known for his signature hybrid projects, combining visual arts, fashion design, performance and video art. He completed MA studies from Fashion and Footwear design on Academy of Arts, Architecture and Design in Prague in 2016 and BA from Printmaking/Graphics on Academy of Fine Arts and Design in Bratislava in 2014. His interest in fashion design developed in Autumn 2011. In 2012 he studied in Hogeschool voor de Kunsten in Utrecht (NL), where he created his first collection DISGRACE, inspired by book by John Maxwell Coetzee. After an internship at A.F. VANDEVORST he created his second collection THE GREAT RED DRAGON, inspired by series of paintings by English poet and painter William Blake. Both of his collection were presented as fashion performances - hybrid projects, which became a signature of MAROSBARAN - combining visual arts, fashion design, performance, video art and dark ambient music. MAROSBARAN is also working in fields of painting and drawing. His works have been presented on solo exhibitions in Slovakia and collective exhibitions in Vienna and Tuzla. His fashion design works were presented in San Francisco, London, Tokyo, New York, Dubai, Hamburg, Firenze, Brno and Prague. In September 2014 he became a winner of RED CUT fashion design competition during Mercedes Benz Prague Fashion Weekend, where he created dragon costume "Dráčik" (The Little Dragon). The second version of "Dráčik" was exhibited in D3 Design District in Dubai. In September 2015 MAROSBARAN has presented his collection "K." on Mercedes Benz Prague Fashion Week. In October 2015 MAROSBARAN has been selected as a finalist of Gombold Újra international fashion design competition in Budapest. In August 2016 his project KOYAANISQATSI has been presented in Mirror Maze and Kaleidoscopic cinema in Prague. The project won a National Prize for Design in Slovakia. In 2016-2017 he completed his internships at CHALAYAN and J.W.ANDERSON in London and ACNE STUDIOS in Stockholm. 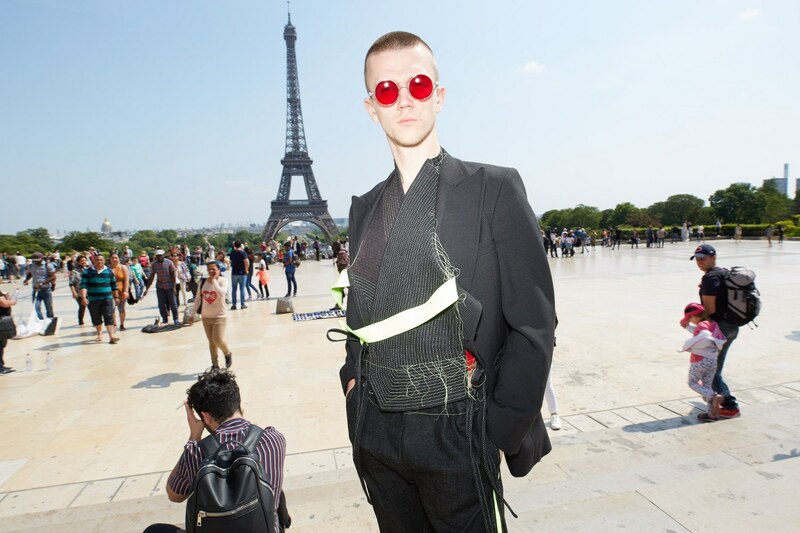 MAROSBARAN is currently based in Paris, where he presented the fifth hybrid project THE IMPERIAL PHASE and the sixth project titled AFTERMATH.